Firstly, an apology: this is a post in which I am unambiguously trying to promote something – my shaky defense is that it is primarily the work of other, very talented people, and that it is a project with which I am very proud to be associated. 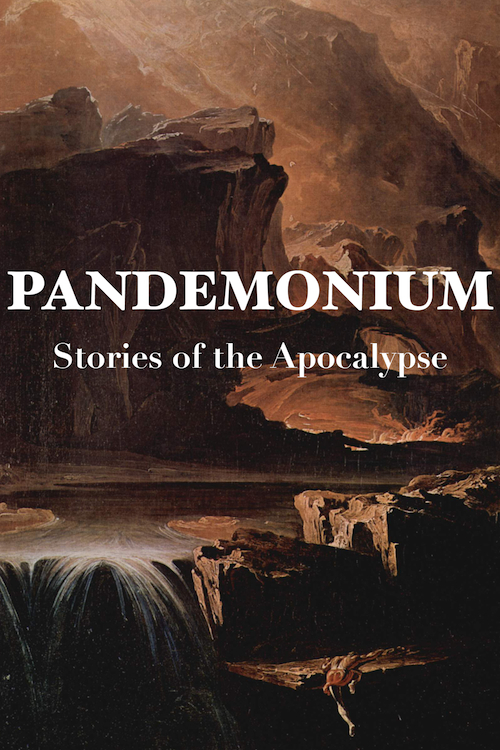 The freshly minted Pandemonium Fiction have compiled an anthology of new short stories to tie in with the John Martin exhibition at Tate Britain – the one that Mark talks about below. 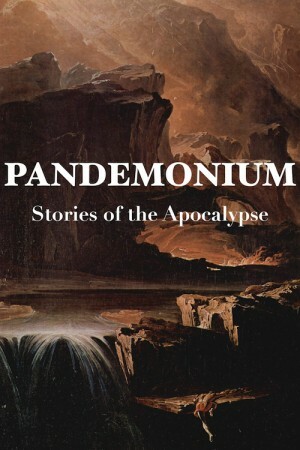 The editors have gathered both up-and-coming and wholly established names, who between them have produced an smartly varied collection of stories on, well, the end of the world. And its terrific. The mists that surround stories heard in childhood can lend them a mystic significance, and this is never more true than for those magical tales of socio-economics. Imagine the youngster, eyes open with wonder, hearing yarns of reckless, inflation-happy interwar governments, or pension fund raiders of the seventies. My favourite was even older though: it’s the story of the Knights Templar, and their accidental invention of monetarism. In the twelfth century, as their power was consolidating and their wealth spiralling, the Knights Templar had literally more cash than they could count – the job of running a ledger of their riches in various strong holdings throughout Spain and France became fulltime and onerous, littered with errors, prone to abuse and eventually impossible to control. Individual Temples, run by members sworn to poverty and keenly benevolent to the devout, lent money to pilgrims, who would then return the donation to organisation, but not, necessarily, in the same place. The solution to this bureaucratic shambles was to arrange for a system of transferable obligations, allowing deposits to be drawn upon between temples – in as much as it matters, they had invented cheques and bond taking. So far, so clerical. But then, according to this hazily documented story, something else happened: the Templar’s wealth grew vast – its possible they had the largest quantity of negotiable tender of any organisation in Europe, monarchies included – and cheques drawn on their reserves became as good as cash amongst merchants. Either through mismanagement or dishonesty, the number of issued obligations apparently grew larger than the total deposits of wealth that the Templars commanded. This might look like a disaster in the making, but rather than cause ruin, it seems that this became the first centrally underwritten increase in the money supply through negotiable instruments: the new notes matched and even assisted the swift growth of merchant trade, perhaps adding a dash of inflation on the way. Unintentionally, the Knights Templar had facilitated an economic expansion. Or they may have done: in 1303, before the effects of their proto-economic management could take root, the Templars were unwise enough to refuse a loan to King Philip the Fair of France. This might have been good banking but it was certainly bad politics, and the Order was broken up, their wealth seized, and their novel banking system fell into disarray. Perhaps that’s as well for their reputation: with war looming a change in confidence was likely, and as the Templars’ obligations were called in, any empty promises could well have been uncovered. Money supply management may be another fine weapon in their mythological armoury; a run on their bank wouldn’t have looked nearly so good. Funny rain is quite reserved as strange phenomena go. The usual suspects – frogs, fish, clams and whelks and so on – may be nonsensical, but it stops short of the hard stuff: no anvils or grand pianos; a herd of cows is as outrageous as it’s ever got. Perhaps that’s what makes this freakery wonderful as well as weird: any number of theories flirt with plausibility, and their provability-proof haziness has lasted them well. Here are a few – all believed by someone somewhere, apart from ONE, which I’ve made up. Can you guess which? *A computer game was written about this. It was called ‘Fish!’, and featured the Seven Deadly Fins. Top? What does that mean? Cutest? Best in a fight? Most legs? Apparently our scientific method needs nothing as impecunious as a yardstick – these animals are top. That’s all you need to know. Perhaps the absence of criteria hides a mess of too many, including some that might be difficult to admit to. Do you dare wonder why you champion the cuddly or the behemothic? What really appeals about the doe eyes or snarling tooth? Something to bear in mind as our menagerie debuts with one of the most popularly anthropomorphised animals ever, the Red Squirrel. For all Beatrix Potter’s branding and their amazing nut retrieval tricks, Red Squirrels are best known for the story of their decline. Once common in British suburbia, and famous for their thrifty ways, for decades they have been fighting for their food source against the larger, allegedly more aggressive Grey Squirrel. Somehow, in the assembled imagination, Red hoarding gave way to Grey plunder, and the Reds’ population suffered. In this pseudo-fable of gatherers and thieves, the Red Squirrels are the heroes, and their tragedy is that they have all but lost. But the recollection of them is pervasive – plenty have tales of the their abundance, or a special meeting with one, usually years ago, perhaps with thoughts of better afternoons gone by. Conversationally, their rareness has turned into disappearance, their memory a myth of suburban parks. There still are plenty throughout Britain, although mainly in the northeast and Scotland, and if the forests are managed well then apparently the Greys may not crowd them out. But that’s too late – their place is already set. They are the underdog, the elegant and noble threatened by the thuggish masses. Red squirrels are edging towards folklore, inhabiting a half remembered past, when the woodland creatures were brighter, and the morality was clear too. A handy, if dubious, piece of advice I once received (slightly too late to be useful, alas) was this: when encountering a subject for the first time, have no shame about the triviality of the source. Brief, simple sources are less likely to be opinionated or wrong, the theory goes, and may well give you enough to hold your end of the conversation. It was in this sprit that I took on The Medici: Godfathers of the Renaissance, an hour’s worth of opulent history lesson about famous Florentine plutocrats. It was a wise choice, although not really for that reason. Instead it turned out to be good fun watching the rich and near continuous documudrama – necessarily mute to accommodate the narration, and so taking on the feel of an up-budget silent movie. The Medicis, without exception, glide around Florence with stern expressions, other characters carefully show anything they might be up to. And, terrifically, one Medici follower’s life is saved form the villainous Albizzi family’s sword when the Pope bursts into the room and glowers imposingly from the doorway. So there’s my contribution to those inevitable Medici arguments at the Christmas parties. Job done. An experimental graphic novel based on blogs? That sounds thrilling! And its automatcially generated from harvested Blogger text, creating the art on the fly from themed computer graphics – geek heaven! But the execution turns out to be a jumble of sprites and speech bubbles, and after a while the naratives reveal themselves to be from war blogs, which, when coupled with the imagery of Civ3, makes the whole project seem suspect. WarGames did. It played with the fear that the western military is a self-absorbed doomsday machine whose only job is to drag the world into annihilation. 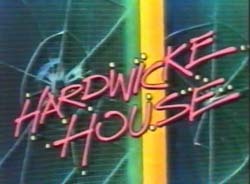 It toyed with a grim technophobia, as offices and bedrooms were invaded by green screen monitors and giant floppy discs, and the only people who could control them were irresponsible teenagers. It teased with the idea that the cutest person in the class would seek out the nerdiest and nod earnestly as they initiate World War III. And it could do all of these things because it was right for its moment. Because it was 1983. The best way to understand this film is as a primary source of its period, when home computers were still unusual and glamorous, and so were the people who used them. The fear of nuclear war informed so much then, from electioneering to stand-up comedy, that its effect on the contemporary culture is difficult to overstate. The world was making exciting advances and yet was doomed at the same time – there was a unique, if lightweight, flavour of promise and foreboding, and for all its flaws, nothing captured this in the way that WarGames did. And flawed it surely is: the army are buffoons who let teenagers infiltrate their nuclear operations bunker, the story halts and has to restart itself mid-way through, the climax is a computer persuading itself that war is futile by playing noughts and crosses. Script, acting and direction all waver. So be careful with this uneven gem. Its accidental genius is that its themes and aesthetics, even its existence, are flush with the essence of its time – simply remembering it can be a sentimental pleasure. But like the real computer games of that era, its shortcomings glare when revisited. It’s a strange game, nostalgia. Sometimes the only winning move is not to play. Tic Tac Toe in the UK is Noughts And Crosses. This threw me a fair bit when I first watched WarGames, as I had not worked out the “obvious to a five year old” fact that it is possible to always force a draw. If I took anything out of the film (apart from Ally Sheedy being rather hot) it was aburgeoning interest in game theory. Especially the bit that would get my parents to buy me a computer so I could play games on it. Is it our fault subversion is dead?